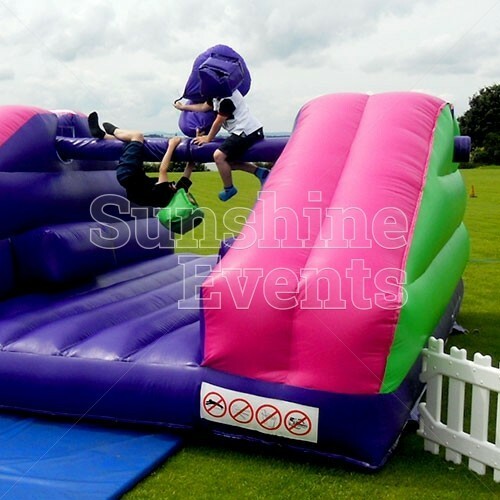 A great companion piece to our Gladiator Joust Inflatable, the Pole Joust Inflatable adds an extra element of danger as you need to keep your balance up on the pole. 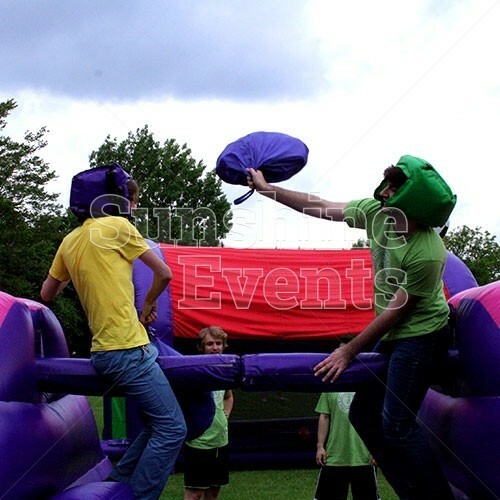 The Pole Joust Inflatable Hire is an amazing game that will have your guests queueing up to challenge their friends, family and colleagues in a friendly game. 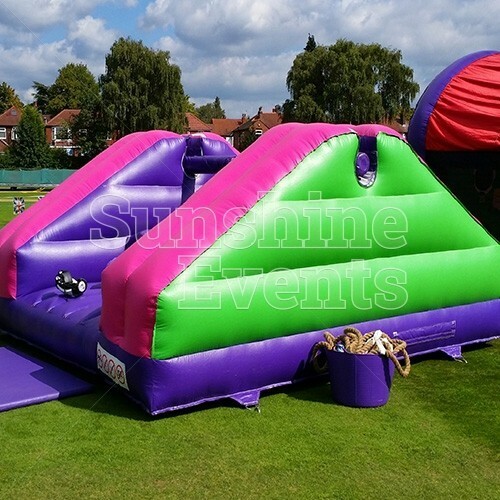 Armed with a ‘basher’ that looks something like a big bean bag, you’ll need to first climb your way onto the pole and take your position - something that sounds far easier than it looks! 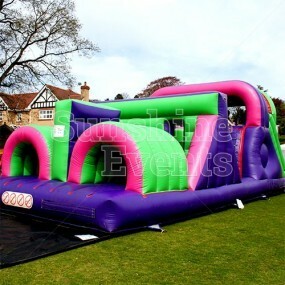 Once you’re ready then let battle commence as you repeatedly try to knock your opponent from the pole and onto the soft inflatable bed. 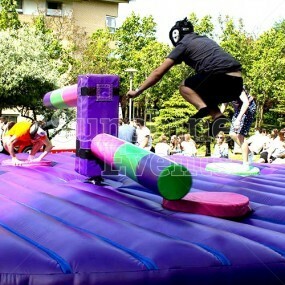 If you find yourself the winner, then it’s only right you get to do a little victory dance atop the pole! 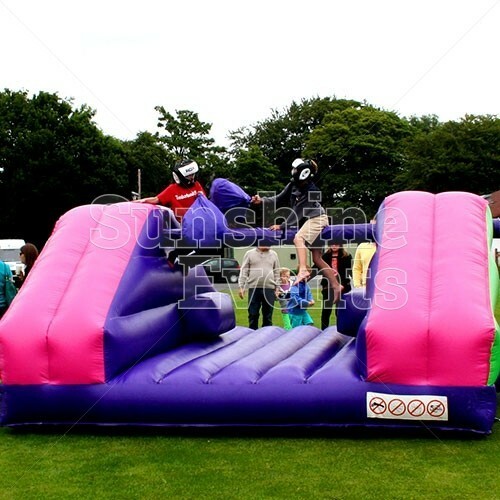 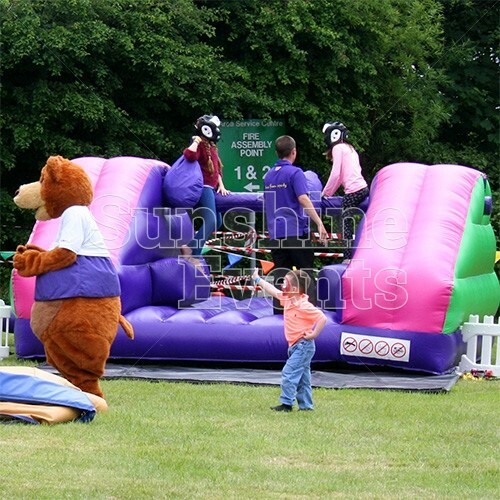 The Pole Joust Inflatable Hire is suitable for children as young as 9, who can compete against their friends or siblings in an attempt to become the Pole Jousting champion; adults can have a go once the children have finished, donning the safety helmets before trying to knock each other onto the inflatable bed. What events are the Pole Joust Inflatable Hire suitable for? 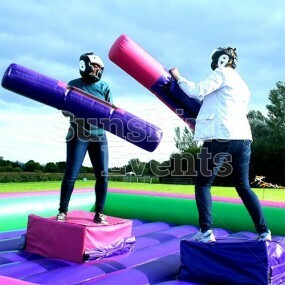 The Pole Joust Inflatable will have our guests in fits of laughter as they watch their friend and colleagues swinging their bashers around trying, so it’s great for all kinds of events that include a competitive element. 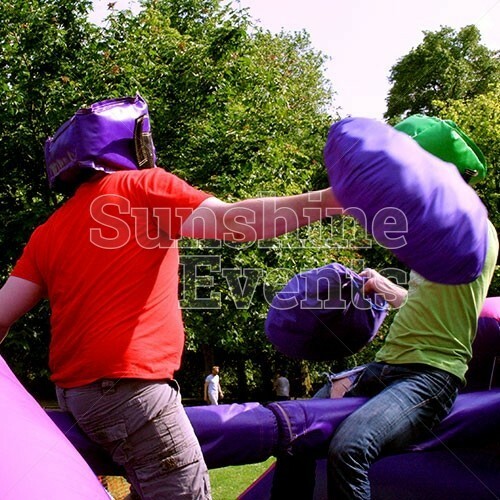 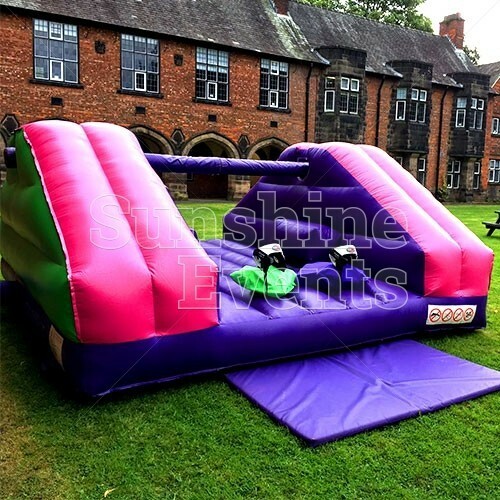 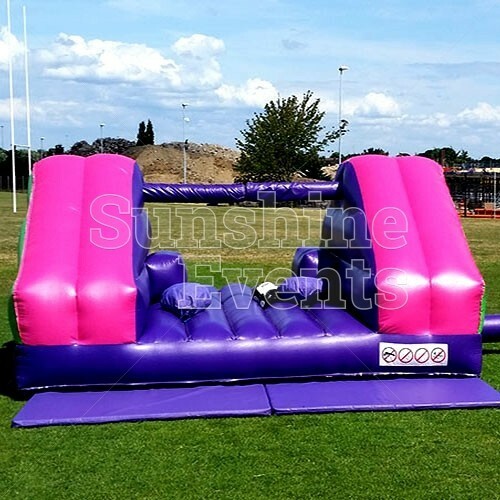 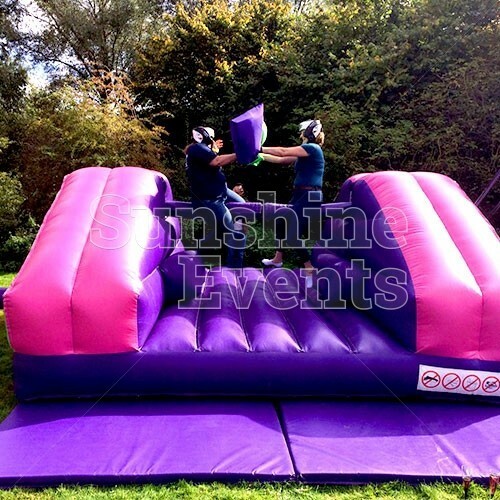 The Pole Joust Inflatable Hire will have everyone lining up eager to bop and bash their opponents onto the inflatable bed, so give your event the Sunshine treatment by calling the Fun Experts today! 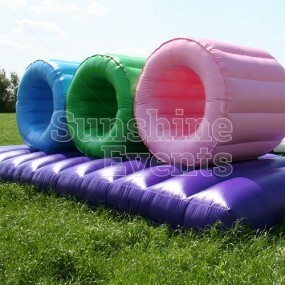 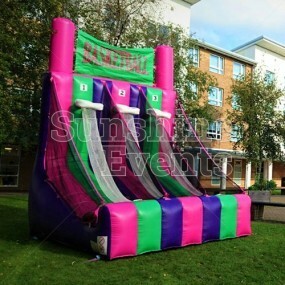 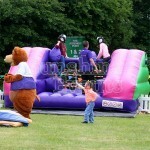 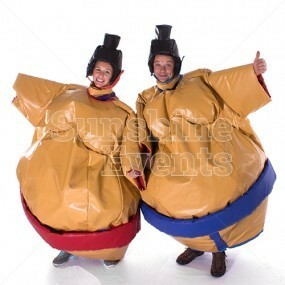 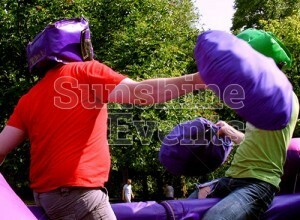 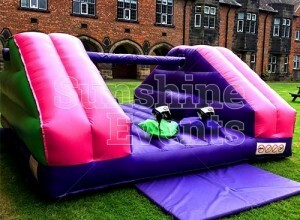 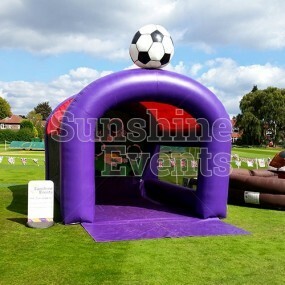 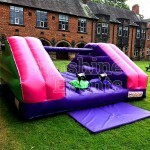 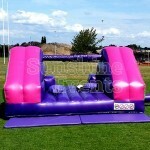 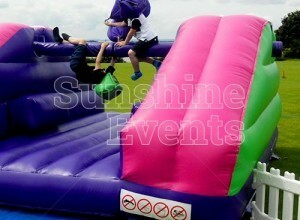 Pole Joust Inflatable Hire has been added to your Event Quote.